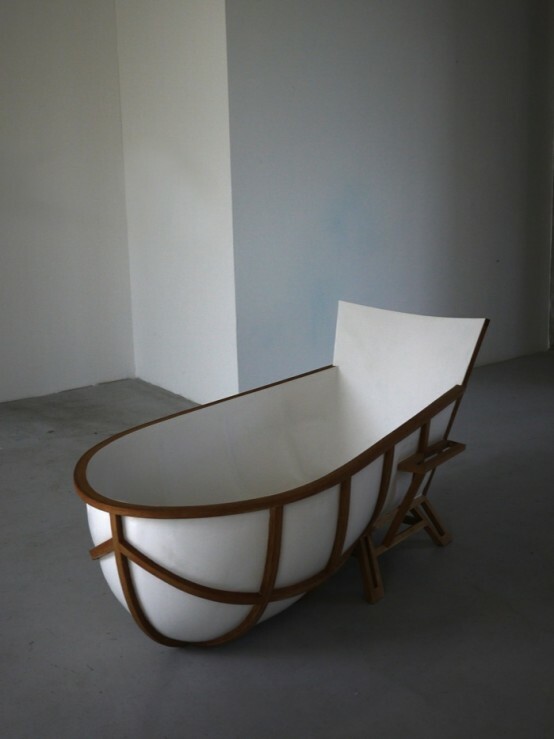 Evolution is a very unusual bathtub designed by Studio Tholl. 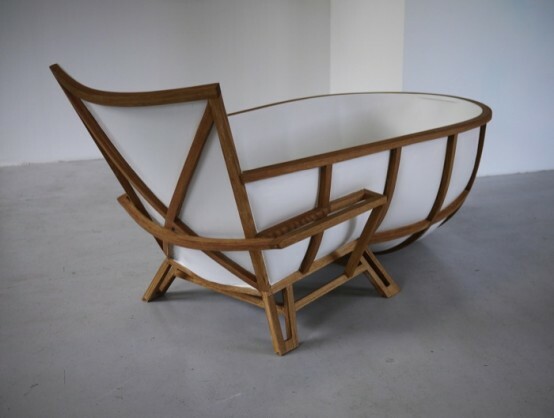 It presents itself as a marmer composite tub inserted in an oblong oakwood cage. 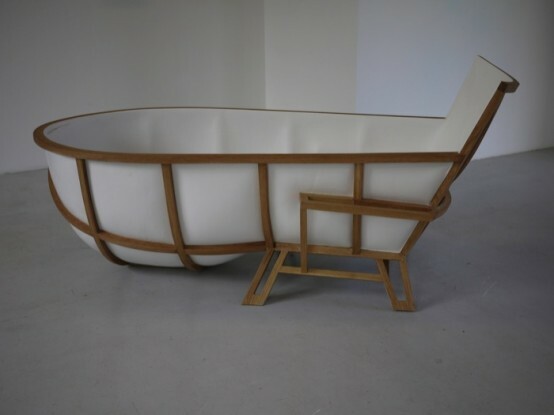 The whole design idea was to show the evolution of a chair in a bathtub. The logic here is quite simple. A bathtub is something you sit in so it could be interpreted as a sitting object. The appearance of a chair and the requirements of a bathtub was used to make this evolution. The size of the bathtub is 190cm long x 85cm wide x 84cm high, so it is a really comfortable bathroom sitting place for everybody.